The famous American multinational corporation, Apple has debuted its new iPhone 2.1 software update, which the company claims contains many bug fixes and improvements, aiming to enhance your multimedia experience. Remember! 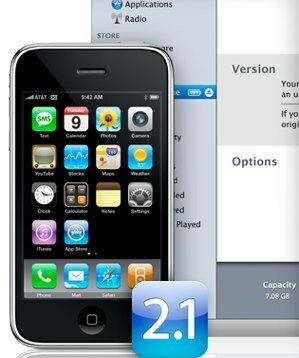 You must download and install the new iTunes 8 application before you go for the latest iPhone 2.1 firmware update iPhone 2.2 firmware update.